Music Festivals in or near Stellenbosch, Cape Winelands in the Western Cape, South Africa. 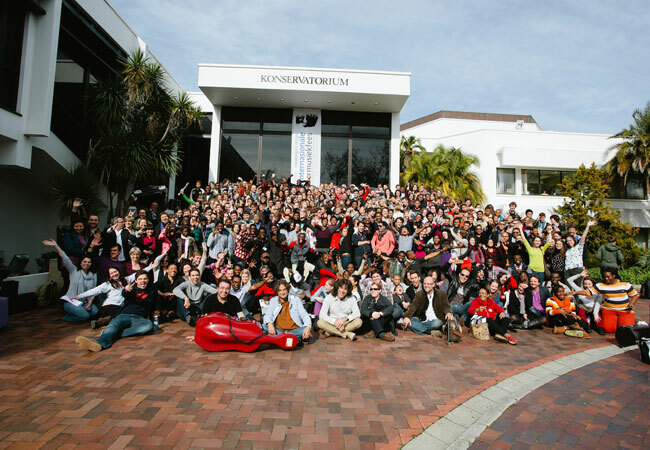 From 30 June to 9 July 2017, the Stellenbosch Konservatorium will host the 14th Stellenbosch International Chamber Music Festival (SICMF) in celebration of both modern and classical performance. More than this, though, the project is designed to educate and enlighten, to showcase the diversity of talent and creativity within one exciting event. It is not limited to lovers of classical music or scholars of composition; this is an event to be enjoyed by the full spectrum of folk that share a love for the arts. The SICMF and, particularly, the evening faculty concerts, which are now open to the public, are not-to-be-missed highlights for those who have a particular passion for classical music. The itinerary includes a wide variety of musicians, each with their own style and approach to performance. Principals from New York's MET Opera Orchestra are part of this year's event, adding a very special element to the SICMF. This collective will perform a perfectly balanced combination of new music and standard chamber classics for an evening to be remembered. The composers whose timeless works will be celebrated include renowned names like Mozart, Vivaldi, Kapustin, Mendelssohn, Brahms, Liebermann, Sibelius, Saint-Saëns, Schönberg, Piazzolla, and Shostakovich. A live composer will lead the orchestra as they fill the Konservatorium with breath-taking performances and beautiful sounds.